Ideas, ideas and more ideas… that’s what participants in Mission One: Revenue came for: revenue ideas and that’s what they said the left with, ideas they could put to work in their home markets immediately. Need an out of the box idea that can generate six figures in revenue a hurry? Why not try an Escape Room? This was just one of the many ideas shared by presenters and participants alike. In fact, several participants complained in jest that they had so many good ideas jotted down that their biggest problem would be which one they should start their markets. Held June 19-21 at the offices of The Atlanta Journal-Constitution, Mission One: Revenue attracted approximately 90 enthusiastic participants who offered up success stories and best practices on all of the ways their newspapers are generating revenue — digital, print, mobile, events, video and even Escape Rooms. Ideas ran the gamut from reviving the real estate category to cashing in on political advertising for the coming midterm elections. “Political advertising in this ‘off year’ resonates with TRUSTED NEWS!” said Scott Christiano of BH Media who imploring attendees to get out and take money away from other forms of media in their markets. Master of Ceremonies Mike Blinder of The Blinder Group kept things moving at a breakneck pace making sure everyone got the chance to participate. Overall the atmosphere was upbeat and positive. Among the attendees at Mission One: Revenue were four media executives who literally went the extra mile(s) to get to Atlanta. 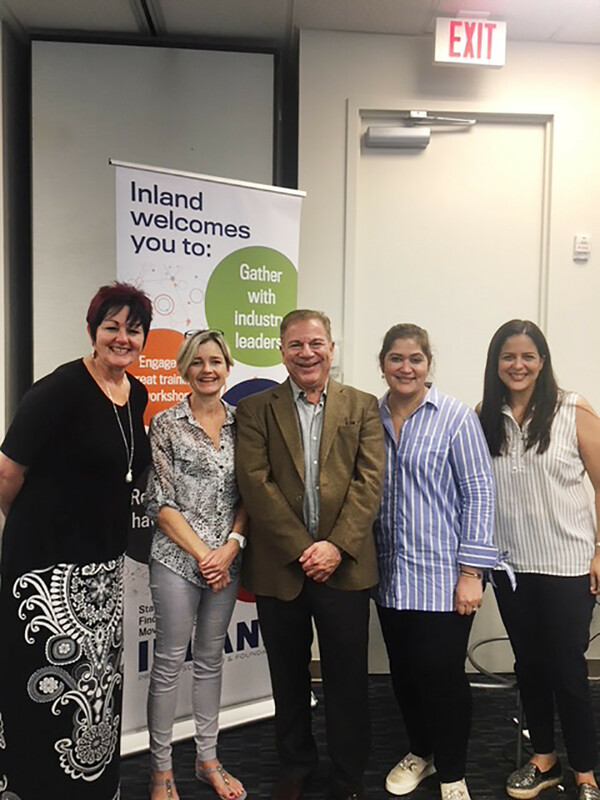 Flanking conference co-sponsor Mike Blinder are, from left, Linda Pretorius and Gillian Frances Barr of Caxton Local Media in South Africa and Isabel Sabillion and Doris Rivera of Grupo OPSA in Honduras. Read more.